Effortless beauty meets classic style with this Screen Siren Lace Gown. 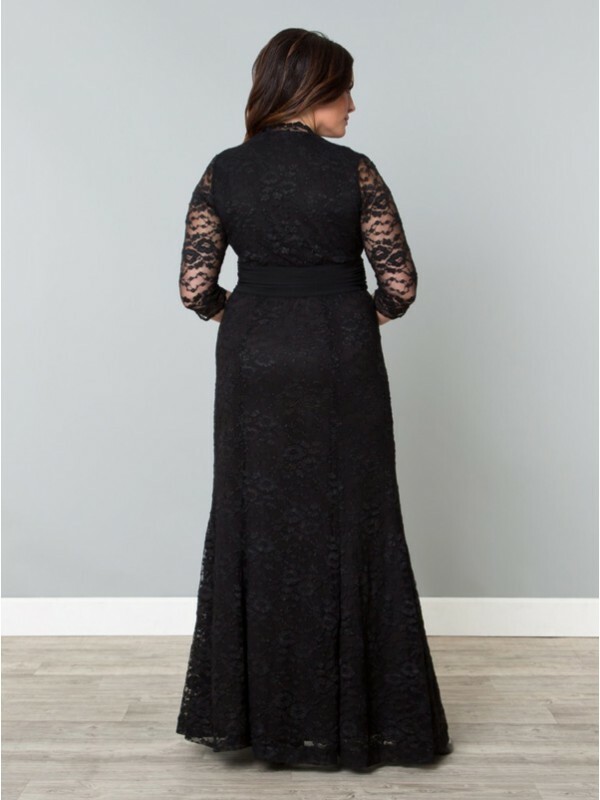 Designed with all-over stretch, this elegant fit and flare gown will flatter and accentuate your beautiful curves. A ruched waistband in a contrasting fabric pulls the eye inward to the smallest part of your body and a scalloped neckline and sleeves add that special detailing. Designed to complement all shapes.